Manufacturing a full line of custom buffers for all applications ranging from .17 Remington to .50 Beowulf since 2003. Our roots are in Heavy Buffers for .308 ARs, including ArmaLite AR10, DPMS LR308, Aero Precision M5, POF, LMT MWS, Noveske N6, Wilson Combat, CMMG, Daniel Defense, FNH USA, LWRC, Larue, Spike's Tactical, Stag Arms, Rock River Arms LAR-8, Remington, Savage, Seekins Precision, Palmetto State Armory, and Knight's SR25. We also have extensive experience with piston operated guns and Class 3 weapons including Full-Auto, SBRs and suppressed weapons. A full line of Heavy Buffers for 5.56mm and pistol-caliber AR15s is also available. 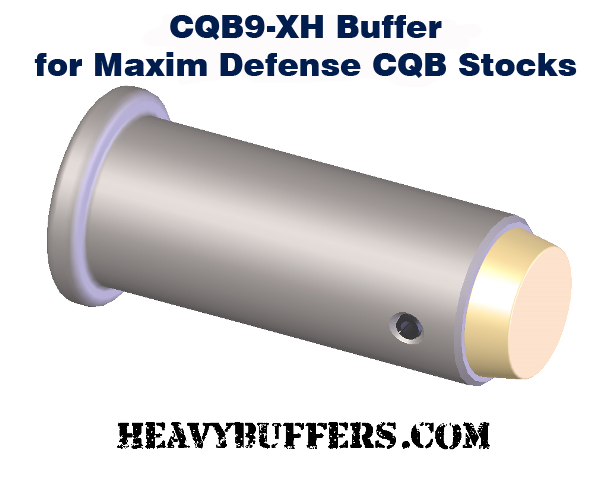 Don't forget to check out our Heavy Buffers for the very popular PDW/CQB brace and stock systems! Also an FFL dealer, also offering gunsmith services. See Shop Services page for more info. Click on the pic for more information. See more great merchandise on the SWAG page.